But I went to the drawing board and looked over all the new options out there. Many new vendors competing with Garmin for your running dollars. 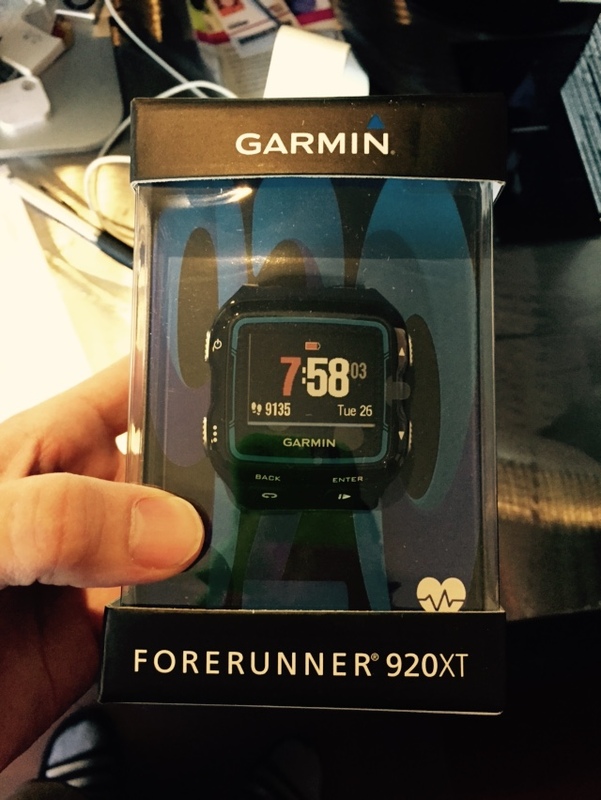 After some analysis I decided to stay on the Garmin train and advance to the newest model…the 920XT! Today was my first “real” run in 2 months. I say real because I wore a watch. A new watch. So I am still playing with it. It syncs over Wi-fi now instead of that ANT stick. It puts my phone notifications on screen which makes it a bit of a transition device while we wait for the Apple Watch. Its counting my steps and telling me to move. All that stuff is nice and its fun to mess with right now. But its all going to turn into a distraction eventually. At some point soon, I have to start doing work. Technology helps but it doesn’t move you. Only you can do that.